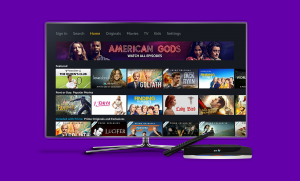 BT has become the first UK pay TV provider to offer Amazon Prime Video access via its set-top box. From today, BT TV customers will be able to access the Prime Video App, allowing them to sign-up and watch thousands of TV episodes and movies, as well live sports like US Open Tennis and from next year Premier League football. The rollout comes after BT announced the Amazon TV tie-up in May and said it plans to make Sky’s Now TV service available to TV customers from next year. “We’re delighted to be the first UK pay TV service to offer Amazon Prime Video content to our customers,” said Tony Singh, content and business development director for BT’s Consumer division.